Group medical practices provide a completeness of care by having a team of doctors, medical records, and services all in one location. Years ago, treatment at Buchanan Health Center in Leesburg consisted primarily of gentle, quick adjustments of the lumbar and cervical spine. Now, the chiropractic practice offers much more. Patients can be treated for common colds, receive steroid injections for joint pain, undergo treatment for hormone deficiencies, and enroll in weight-loss or rehabilitation programs. That’s all possible thanks to a growing team of health-care providers who offer multiple services under one roof. Indeed, the winds of change have blown through the medical community in the past few years, turning medicine upside down. Physicians who previously were formidable competitors are now merging and becoming partners. There’s an upside to this model. When doctors of various medical backgrounds work together, share ideas, and discuss treatment options, patient outcomes are optimized. The same can be said for patient convenience. When Dr. Buchanan expanded his practice to include a fully licensed and operational medical facility, patients who formerly came in for low back and neck pain began coming for flu treatment or annual blood tests. He also added a full-service rehabilitation department to treat injuries relating to bones, joints, ligaments, and muscles. Physicians who previously were formidable competitors are now merging and becoming partners. There’s an upside to this model. 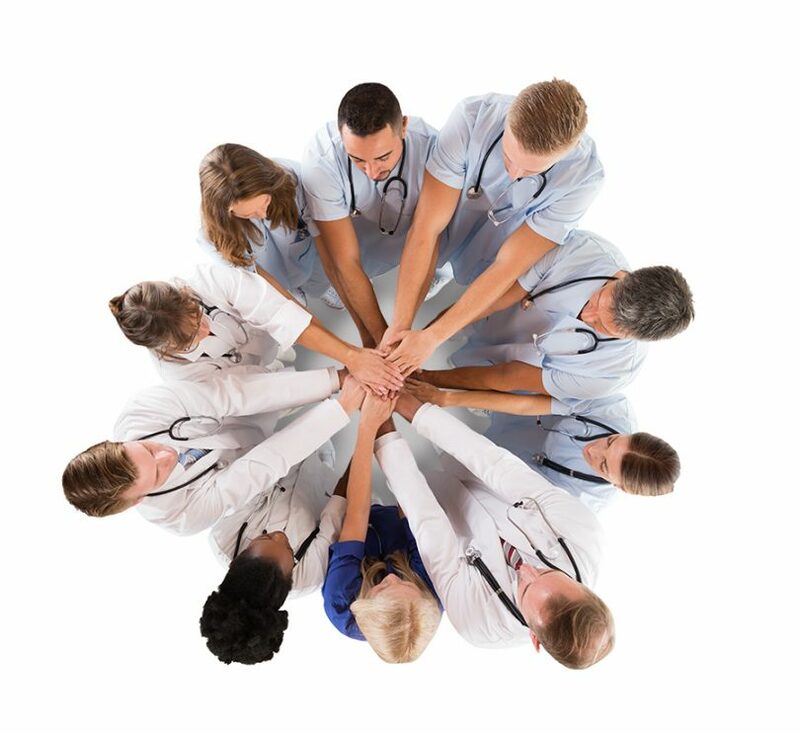 When doctors of various medical backgrounds work together, share ideas, and discuss treatment options, patient outcomes are optimized. FHV Health in Leesburg also positioned itself to meet the evolving needs of patients in today’s health-care market. While the practice was once limited to offering cardiology services, its founder, Dr. David C. Lew, formed a multi-specialty group in 2006 that today boasts an ever-growing staff of cardiologists, endocrinologists, nephrologists, vascular surgeons, general practitioners, registered nurses, and physician’s assistants. There are other benefits. Multi-specialty groups have greater purchasing power because physicians can share the expense of new technology and medical equipment. Moreover, physicians in a group setting have easier access to a patient’s medical records. “Having their records at our fingertips reduces medical error,” Dr. Lew says. “For instance, if we are not sure what a doctor outside our practice prescribed, then we may give them medication that is in conflict with their current medication. Also, if a patient has physicians who are far away from us, it can be a daunting task to get all the information we need. In our practice, various specialists are sharing medical records under one umbrella. It’s a speedier and safer way to deliver health care.” And it allows physicians to focus on the totality of a patient’s health-care needs.